Our senior investor belongs to a highly accomplished family with a legacy of illustrious achievers and global entrepreneurs. 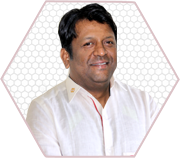 He is a second generation owner, active board member and an administrator of a highly successful multi billion $ pharma company based out of hyderabad, india, with footprints in 50+ countries and growing rapidly. Being young, tech savvy and passionate about new age technology and software, sarath finds time to actively participate in various ideation efforts. His investments and interests apart from pharma include healthcare, realty, e-commerce, renewable energy and software. He has a penchant for new learnings, business prudence, fire to succeed, eye for detail and business connections which egg startups to be world beaters. Gartner, inc. (NYSE: IT) is the world's leading information technology research and advisory company. It delivers the technology-related insight necessary for clients. Gartner is a partner to clients in approximately 10,000 distinct enterprises worldwide. moolya has partnered with Gartner to propel its value proposition into the next level. Sanjay, an active member of the Indian Angel Network, the premier national group of angel investors. He has investments in startups across healthcare, education, impact, consumer and fintech sectors. A charter member at TiE, Hyderabad (The indus Entrepreneurs), he is also on the advisory board of Parampara Capital, an early stage fund and 50K network, an emerging national investor network. An independent director on the board of Unimed Health (Star Hospitals), he has also joined the business advisory council at Woxsen School of Business, Hyderabad. 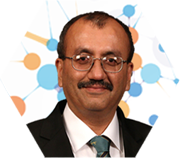 He was the Executive Vice President & Head, Global Delivery Center, Hitachi Consulting India. As CEO and head of the Global Delivery Center at india, he led the company’s global delivery team of 1800+ across the centers at Hyderabad, Pune and Bangalore. He holds a Bachelor’s degree in commerce and a fellow member of the Institute of Chartered Accountants of India (ICAI). A keen golfer and art enthusiast, he was also a founding member of Sierra Atlantic’s corporate social responsibility initiative at India. A seasoned executive accomplished in sales, technology, program, general management and people functions with demonstrated and sustained ability of client satisfaction, organization profitability and exceeding board expectations. A result focused enthusiast specializing in whole gamut of ideating, start-ups, operationalizing, monetization and maintaining the interests of stakeholders in established organizations and start-ups. Effective communicator well accustomed to working cultures of India, US, Europe, ME & Asian countries in 20+ years of various roles of business and software experience. His specialties are startups, sales and strategizing, business development, program management, product development and practice building. Presently as the Founder he has his task cut out to ensure he builds a world class unit that delivers wow and meets the expectation of its clients, investors and stakeholders. 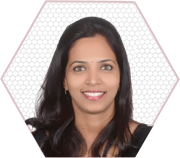 Usha prefers to be called a people champion and advocate and brings 13+ years of people experience in people management, operations and human relations expertise with industry exposure of finance, banking, software, knowledge companies, consumer goods and engineering. She had stints with Satyam Ventures, Computer Science Corporation, Polaris, PepsiCo, green field startups, NESS, Kony Labs and EiQ N/W at multiple levels. 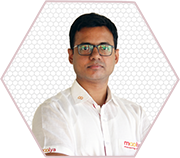 Rudra pratap has 13+ years of experience in IT and ITeS marketing strategies, multi city ATL and BTL planning and execution such as events, celebrity management, go to market, OOH, digital and marketing innovations. He has led several teams of various sizes across multiple states/cities in India. 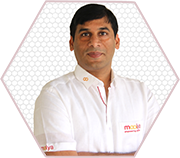 Ramana is a pro with 20+ years of experience in product development and worked across multiple geographies. He is an effective leader and communicator with extensive experience in leading large scale projects and programs simultaneously. He is currently Chief Technology Officer at raksan. 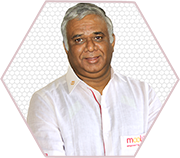 Prasada rao is multi-skilled with qualifications as chartered accountant, company secretary and a law graduate. With 35+ years of experience in industries of tele communications, manufacturing, banking, healthcare, electronics and software companies, he demonstrates expertise in finance, accounting, strategies, compliance and statutory operations of running global aspirations of indian companies. 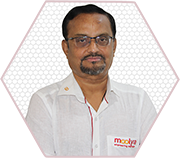 Satyanarayana donned roles of generalist and specialists, spanning business disciplines and industries, as manager - technical, sales and marketing head, HR head and recruitments in his 30+ years of experiences in india, US, europe and africa providing rich evidence of his general management expertise in large organization operations. An epitome of discipline, diligence and perseverance he has mentored many HR and recruitment professionals in his career. With persuasive abilities, eclectic sense of humor and networking connections, he is invaluable to organizations seeking executive presence and demonstrated management abilities. Suresh is a proven leader in business and management consulting, product development, projects, pre-sales, coe setups and people management. He excels in demonstrating value to his clients and continuously improve client satisfaction index. Well versed with all the challenges of startups, complex projects, pre-sales, strategizing, product development, program management and practice building. 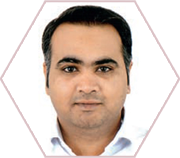 He is the advisor at raksan, and helps us scale up on its strategy, ideations and relationships. Naveen is a pro with 12+ years of experience. He started his career in the field of marketing, sales and customer support and worked across various industries such as automobile, pharma and retail. With a keen interest in web and graphic design, he further enhanced his career and went on to work as an UI designer and developer. 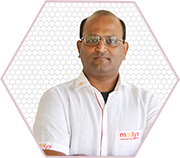 He has extensive knowledge of various adobe products and front-end frameworks like HTML5, CSS3 and bootstrap. 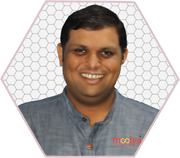 He is currently a web and creative specialist at moolya. 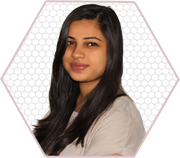 Pratishtha has an experience in community management with a co-working space company. She is currently Chapter Manager at moolya. 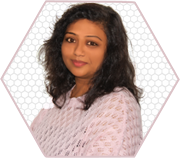 Varsha holds 3+ years of experience in the marketing and digital space. She has extensive experience and enjoys brainstorming on new concepts, ideas and brand co-creation. She is currently the Chapter Manager at moolya. 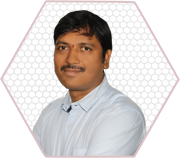 Kranthi kumar is a digital marketing pro with 8 years of experience working with both indian and global clients across verticals such as e-commerce, real estate, health and business service providers. He holds certifications in google adwords, analytics and bing ads. Kranthi currently leads digital marketing of moolya, raksan and other subsidiary companies. 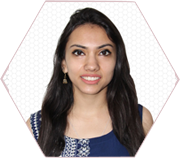 Mansi holds one year experience as a business development manager in hospitality and hotel industry. Having worked in a start-up she dappled with multiple stints in marketing and business development. She is currently Chapter Manager at moolya. With seemingly endless stores of energy and enthusiasm, harshavardhan delivers a level of honesty and reliability to our clients that make him a much-relied member of the raksan team. 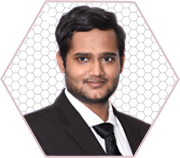 Highly collaborative and a strong team player, Harshavardhan has a passion for working with technology startups. He is always willing o go the extra mile to deliver the results his team and clients are looking for. Harshavardhan is a graduate of IIT Patna, working in technology sales since 2015. He enjoys being active outdoors, meeting new people, camping and biking. He can be reached at hshinde@raksan.in.